Fresh off a trial run grading candidates for governor of Pennsylvania, a group of Philadelphia teachers is getting ready to evaluate the positions of candidates for Philadelphia mayor and City Council. 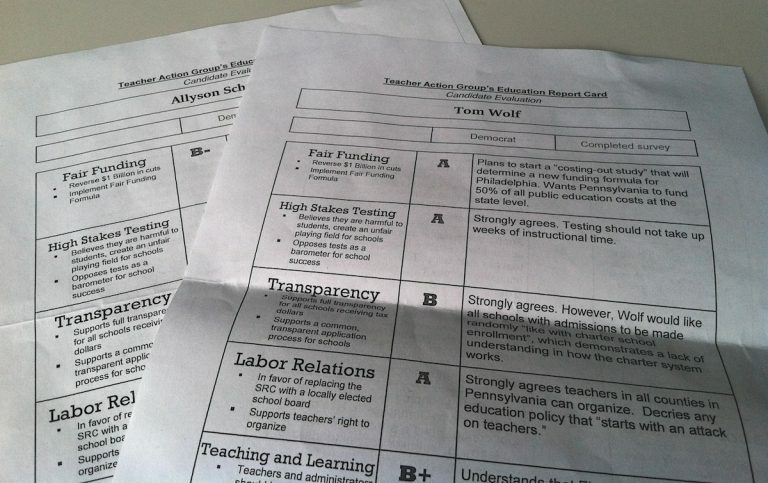 Last year, the Teacher Action Group, or TAG Philly, awarded Tom Wolf an ‘A’ for fair funding. Tom Corbett got an ‘F’. Paul Robeson High School English teacher Andrew Saltz, a leader of the grassroots organization also known as TAG Philly, said the group evaluated gubernatorial candidates on five different categories: fair funding, high stakes testing, transparency, labor relations and teaching and learning. Former Governor Tom Corbett was the only candidate who did not respond to the group’s survey. 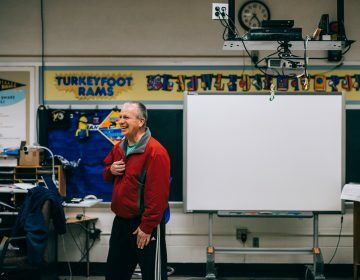 This year, Saltz and a new group of teachers have set their eyes on the city elections, where the fate of public education is clearly a top issue. Over the next six weeks, interested members of TAG will hash out what questions they want mayoral and Council hopefuls to answer. Twenty-four people signed up to carry out the grading. Saltz said if only half that number follow through it will be a bigger effort than last year. The meetings are a part of TAG’s “inquiry to action groups,” recurring workshops for teachers, students, school staff and generally interested parties. TAG was also the incubator for the Caucus of Working Educators, a faction within the Philadelphia Federation of Teachers that has a social justice agenda. Saltz said the report card is a way of evaluating more planks in a candidate’s platform than the Philadelphia Federation of Teachers, the union for district educators, generally organizes around. Another topic that might make it onto the report card is a major caucus issue: letting parents opt their children out of standardized testing. 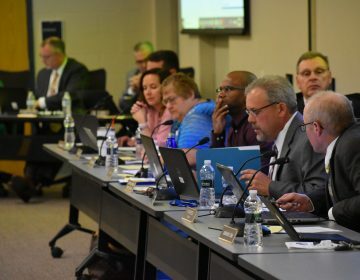 “PFT has not taken a stance on that, but a whole lot of teachers, certainly parents … think this is important,” said Saltz. 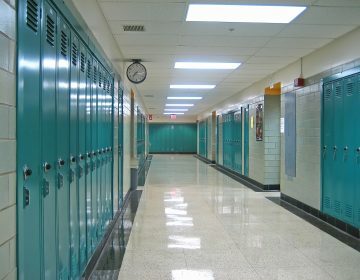 Caucus members have been spreading information about opting out in meetings across Philadelphia this year, prompting one school in North Philadelphia to a nearly 20 percent opt-out rate. Saltz said, once the questions are determined, the next step will be to survey the candidates. “It was shocking how easy it was to get most of them to respond” last year, said Saltz. He said in addition to their survey responses, the group looks at the candidates’ campaign materials and what they’ve said in the past. And candidates can add to – or take issue with – the questions themselves. Last year gubernatorial hopeful Rob McCord took issue with one of the questions and was given space to respond on TAG’s website. 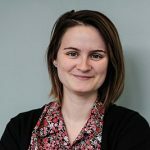 The report cards will be released in April, posted to TAGphilly.org. That’s when the team that put together the scorecards will take them to “rallies, debates and [recreation] centers,” said Saltz. He said meeting people where they are – and where they vote – is more important than posting something online. But he said the grades are not equal to an endorsement, but are meant to be conversation-starters. “Hey, agree or not, we hope you all vote and these are how the candidates feel about these issues,” said Saltz. But he wasn’t shy about projecting the kind of political clout the teachers union could have during elections. PFT plans to endorse candidates in the mayor’s race next month and has been “ramping up its political activity” ahead of the May primaries. The union has already endorsed Helen Gym, education-activist and co-founder of Parents United for Public Education, for an at-large seat on City Council.